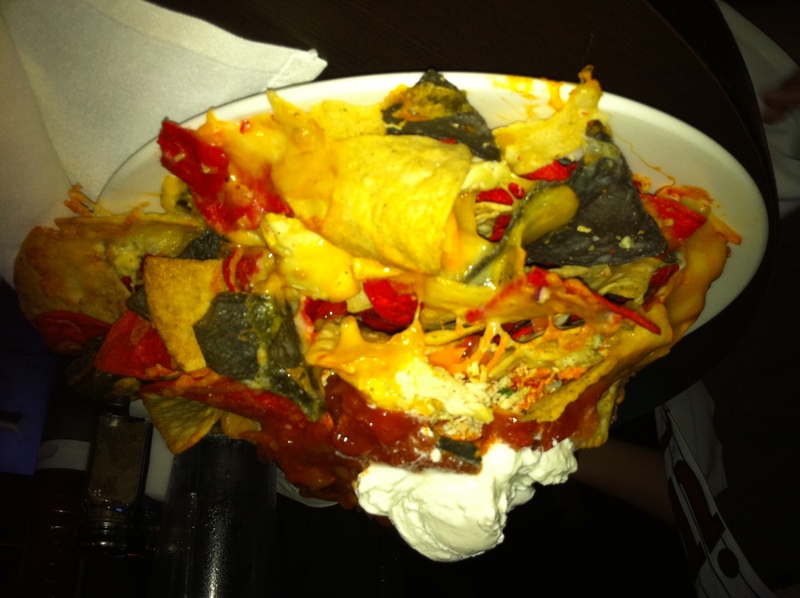 CitySide’s Buffalo Chicken Nachos: The Horror, The Horror! We really should have known better. We’d had mediocre-to-terrible experiences with both CitySide and buffalo chicken nachos in the past– why tempt fate and try the combination of both? Perhaps it was hopefulness, perhaps naivete, perhaps it was even the dreamy beefcake aura of American Leauge All-star starting catcher Joe Mauer emanating from the TVs above, but something drove us to think that ordering these nachos was a good idea. Featuring cheddar and blue cheese, shredded buffalo chicken, shredded carrots, sweet corn and sour cream, they had to at least be interesting, right? RIGHT? Wrong. 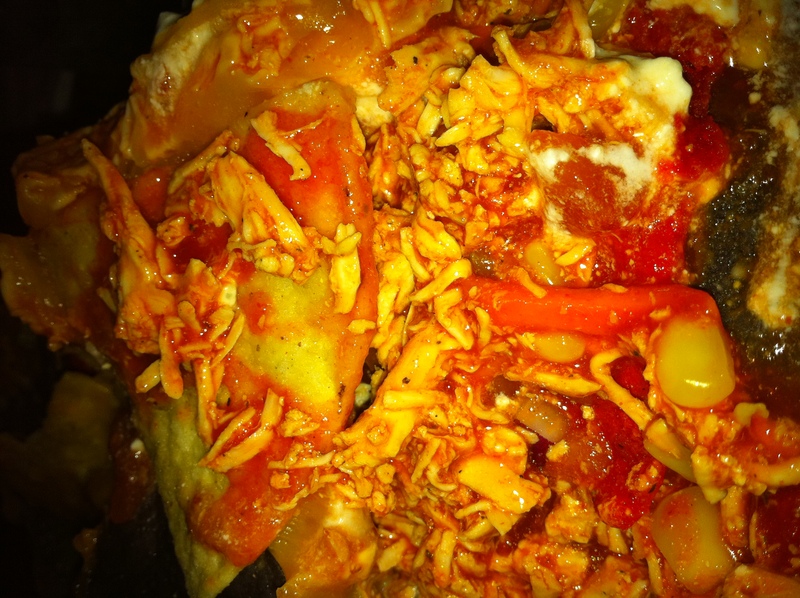 We were quickly plunged headfirst into a terrifying nacho nightmare. Appearance: (3) Reminiscent of the Coolidge Corner Clubhouse in their lack of structural integrity, we knew from a distance that this plate was going to be, in one way or another, a beast. Upon closer examination the first thing we noticed was the sour cream, which appeared to be curdling and separating, and we knew we were in for a struggle. We found it akin to what the medical examiner would find in your stomach after you ate these nachos, suffered massive internal organ damage, and died. It says a lot about these nachos that we were thankful the poor distribution, because the naked chips and bottled salsa were the only things worth eating. Price: (1) Instead of $12, these could have cost 12 cents and they would still have earned a 1. Such a total waste. Overall: 7/40. CitySide, you have hit a new low we never even thought possible. Please, for the love of God, take this monstrosity off the menu. These nachos were so bad, they have nearly turned us off food entirely. ← The Old Spice Guy likes nachos. Thank God.